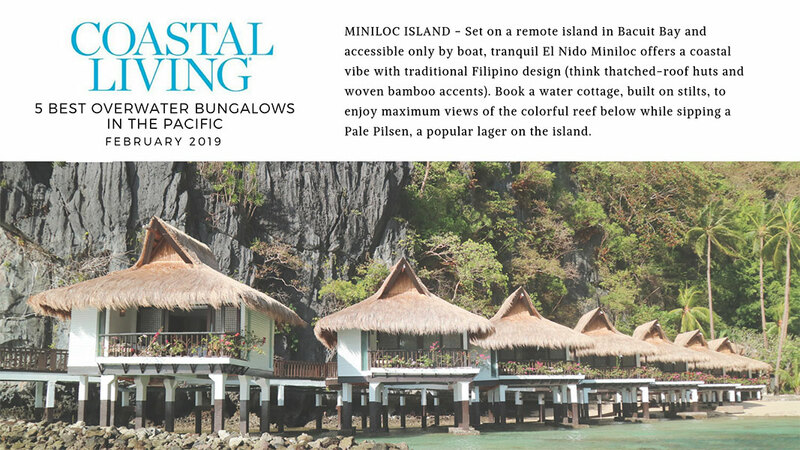 Set on a remote island in Bacuit Bay and accessible only by boat, tranquil offers a coastal vibe with traditional Filipino design (think thatched-roof huts and woven bamboo accents). Book a water cottage, built on stilts, to enjoy maximum views of the colorful reef below while sipping a Pale Pilsen, a popular lager on the island. 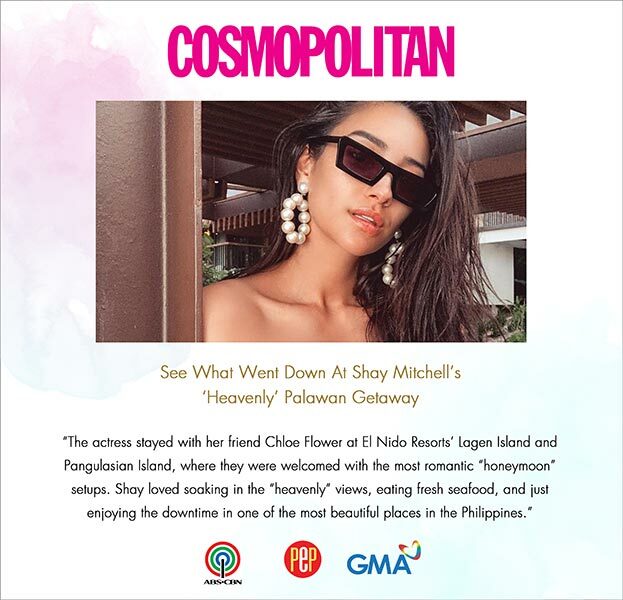 After her media tour for Netflix series You, Shay Mitchell has left the country but not without sharing some snaps from her quick Palawan getaway. 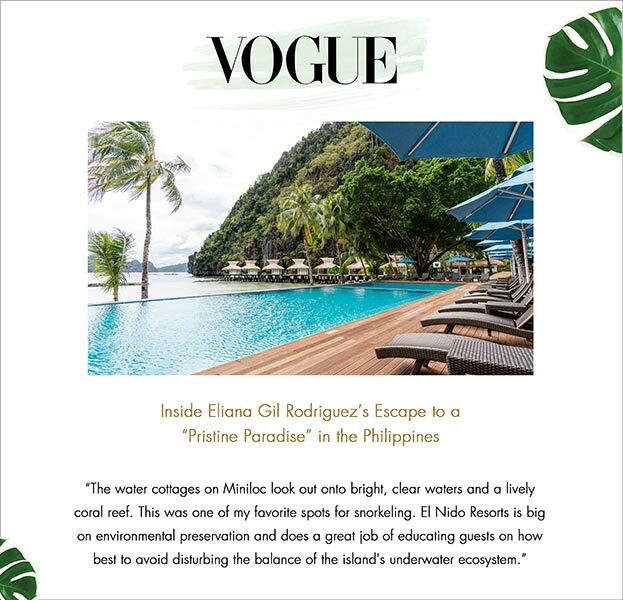 The actress stayed with her friend Chloe Flower at El Nido Resorts’ Lagen Island and Pangulasian Island, where they were welcomed with the most romantic “honeymoon” setups, LOL. Shay loved soaking in the “heavenly” views, eating fresh seafood, and just enjoying the downtime in one of the most beautiful places in the Philippines. Eliana Gil Rodriguez has had a busy year. In July, the model and former American Apparel wunderkind launched her namesake line of elevated basics (think baby tees, bike shorts, and super-stretchy unitards). Which is why when it came time to celebrate her 29th birthday this past December, she and her boyfriend, The Weeknd’s Patrick Greenaway, eschewed a blowout bash in their Hollywood Hills apartment for a thatched-roof, beachside cabana with subpar cell service.